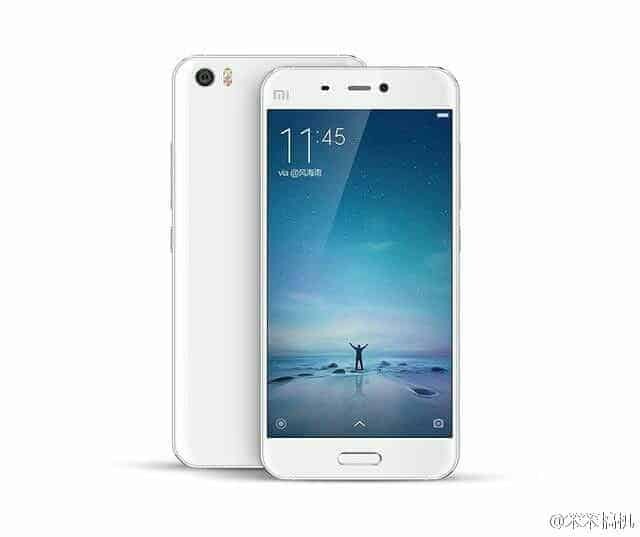 Just last week, Xiaomi’s next flagship Mi5 was leaked and now, fresh new renders have been leaked by an Weibo user. 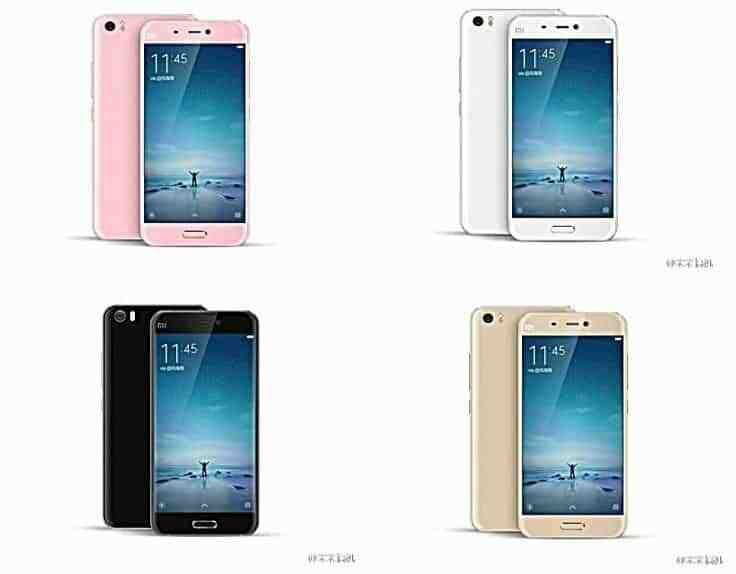 The latest renders show the device in four color variants- pink, white, black and gold. And the renders are not all, a video has also been leaked showing the white variant’s front panel. The 27 second long video show just the front of Mi5 on a stand, however no details on the specs of the device is there in the video. The video confirms the leak from last week, which stated that Mi5 will have the world’s smallest fingerprint scanner and a 2.5D curved glass display on the front. it was also said that Mi5 will have 3D glass on the back. The figerprint scanner on the phone is oval in shape and pretty smalll, however it resembles to the Samsung’s Galaxy Series phones. Now, it’s confirmed as both the video and the press renders show exactly the same thing. The phone is being rumored to be powered by the latest Snapdragon 820 SoC from Qualcomm, coupled with 3GB or 4GB RAM for 32GB and 64GB variants. It is also expected to have a 5.2 inch display, sporting QHD and 1080p displays. The Mi5 is being said to be powered by a 3600 mAh battery.